PAWS Chicago's lifesaving work is only possible because of the support and funds raised by animal-loving community members like you! By fundraising, you can help us save homeless pets, prevent pet overpopulation through free spay/neuter, provide under-resources communities with important resources and raise awareness. Check out our FOUR-STAR Charity Navigator rating HERE. Click HERE to learn more about what your donations can do! It's important to share the work that PAWS Chicago does to your donors, and these animal stories will help you! Print these out and include in solicitation/thank you letters, have out at your fundraising events and more! You can download and print these cards by clicking HERE! We are here to help you in your fundraising goals and have numerous resources to help you! Website Guide -- Learn how to customize and navigate your personal fundraising page by downloading our guide HERE. Offline Donation Forms -- ensuring your offline donations (check, money order, cashiers checks) find their way to your fundraising page is easy! Download and print THIS FORM, complete and return along with your donations to: PAWS Chicago; Attn: TEAM PAWS Chicago; 1933 N Marcey St; Chicago, IL 60614 and we will post to your page when we receive it! Your Fundraising Plan Template -- the most successful fundraisers create a plan and this template shows you how! Plus it is filled with great information and tips! Click HERE to download our guide! 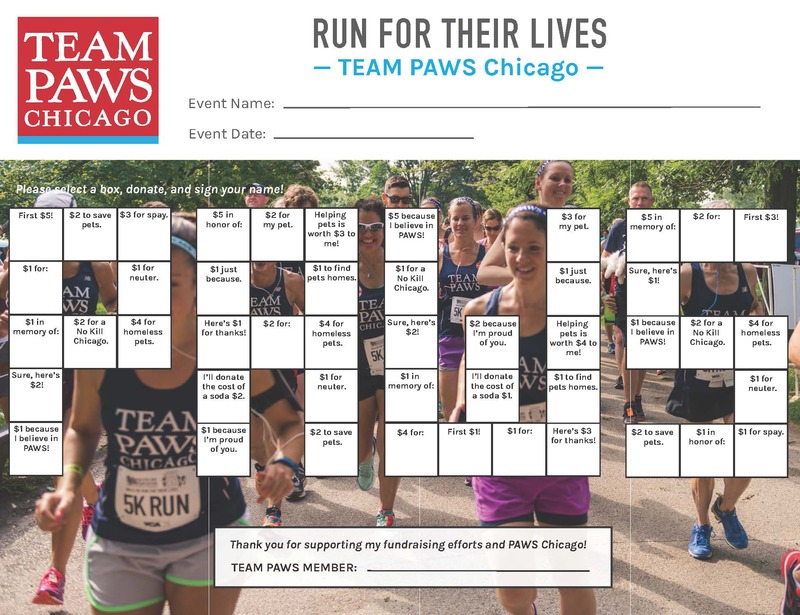 Your Personal Fundraising Page -- to learn more about how to customize your personal fundraising page, click HERE to download our 2019 TEAM PAWS Chicago Website Guide! 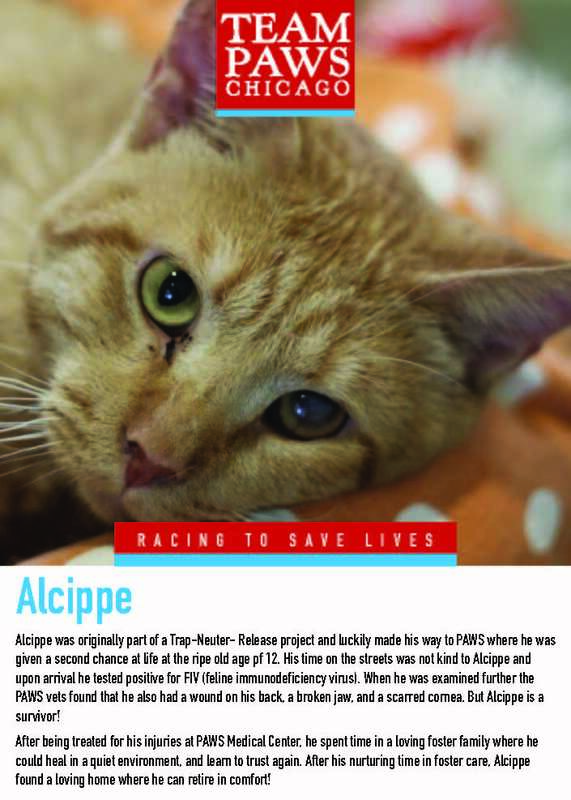 PAWS Chicago Paw Print Cards -- use these cards to display the names of your donors at work or ask a local business to "sell" these cards for a $1 donation and then post in their store! You can download and print these cards by clicking HERE! How to raise $100 in 10 Days -- $100 may seem like a lot to raise but download THIS plan and you'll see that it's easier than you think! 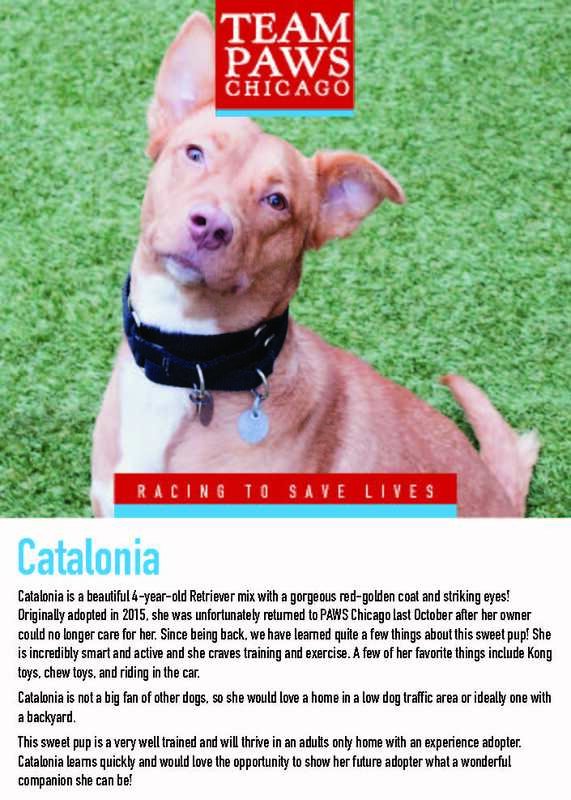 TEAM PAWS Chicago Fundraising Card -- This is another great resource to help you raise $100! Each square is "worth" between $1-$5. Print out this card, take it to family and friends, ask them to select a square(s) and donate that amount. When the card is full, you'll have raised $100! You can download and print these cards by clicking HERE!